Spend your next beach vacation in Riviera Maya, Mexico to see what luxury looks like from the Mexican-Caribbean coastline. El Dorado Spa Resorts all inclusive vacations are adults-only retreats where white sand and turquoise waters summon travelers to enjoy hours in the sun. 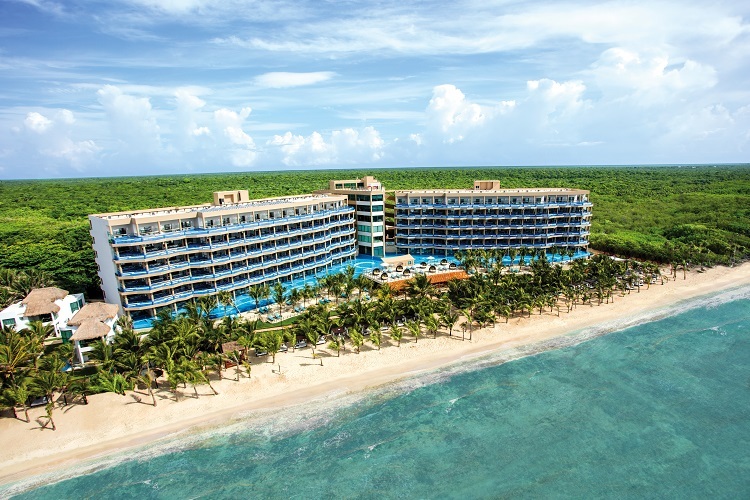 A lavish experience awaits beach lovers at El Dorado Royale. Gorgeous suites aim to please with luxurious amenities including a private balcony or terrace, indoor Jacuzzi, minibar, and more. 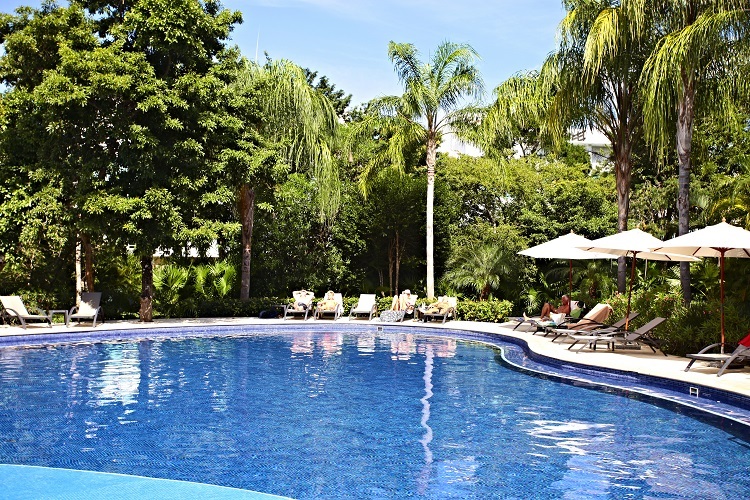 If you want to take it up a notch, opt for a swim-up suite with direct access to the pool. Dine like never before with gourmet meals from different a la carte restaurants. International cuisines like Italian, Mediterranean, and more are satisfying and full of flavor. Fuentes-Culinary Theatre offers dinner and a show for an entertaining evening while three gourmet corners serve delicious bites. You’ll also find six bars and four swim-up bars where you can enjoy your favorite drinks whenever you please. Activities at El Dorado Royale are endless. Lessons, classes, and sports are opportunities to try something new and meet other guests. Add a unique flair to your stay with a horseback ride around resort property or a tour of the onsite greenhouse (where fresh produce acts as the main ingredient at all onsite restaurants). A weekly 5k run past scenic views is perfect for anyone looking to remain active while on vacation. Scuba diving and parasailing come at an additional cost, but are worthwhile to see Riviera Maya’s stunning beauty from above or below the sea. 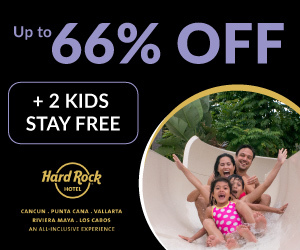 Book now and SAVE on your vacation: El Dorado Royale packages are available at All Inclusive Outlet. 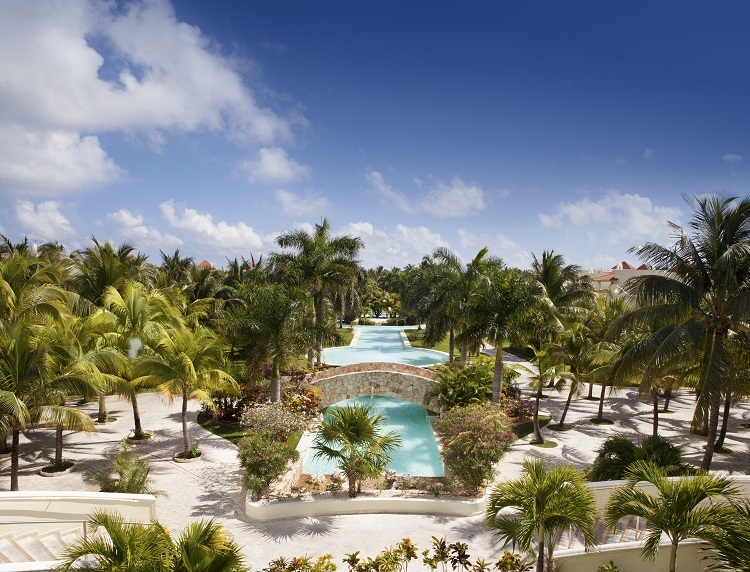 Guests are spoiled with luxurious amenities and one-of-a-kind experiences at El Dorado Maroma. Upon arrival you’ll be welcomed with a glass of sparkling wine before settling into your suite. Scenic views, nightly turn down service, a Jacuzzi, and more offer you an oasis to call your own. 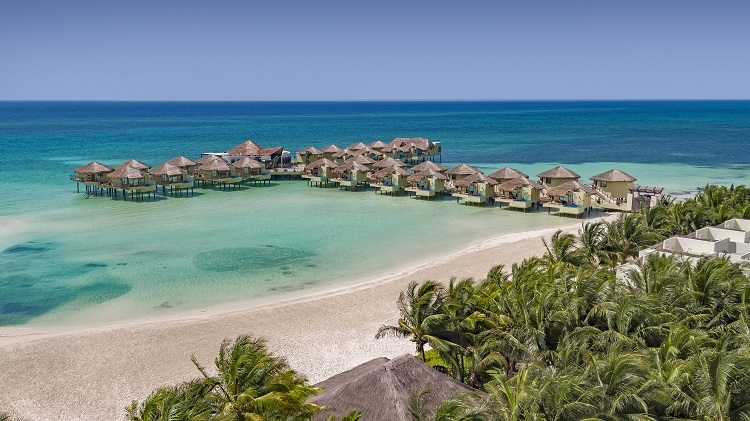 Accommodations also include the first ever overwater bungalows in Mexico, which are surrounded by the clear-blue Caribbean Sea. Ladder access to the ocean, an outdoor shower, glass-bottom floor, over-sized deck, and a private infinity pool make your stay truly unforgettable. Restaurants guarantee meals you’ll find yourself wanting over and over. Savor a range of cuisines from around the world including Mexican, Peruvian, Asian, and Italian. Unwind in the evenings at Rick’s Bar and sip on your favorite drink in the lounge area or outside on the terrace. Choose from a selection of hors d’oeuvres and house wines at Joe’s. And don’t forget about three swim-up bars serving premium beverages to quench your thirst day and night. Enjoy paradise out in the sun, whether you’re on the beach playing volleyball or lounging next to the pool. Infuse yoga into your daily schedule, take a cooking class, and learn how to dance like a pro. Complete your experience by exploring the beautiful Riviera Maya on thrilling tours and excursions (additional costs may apply). Once night falls, live music, karaoke, and shows provide hours of entertainment to make your time at El Dorado Maroma that much more special. Book now and SAVE on your vacation: El Dorado Maroma packages are available at All Inclusive Outlet. Share a romantic beach vacation with your loved one at El Dorado Casitas Royale. Each day is a new and different experience. Feel the ocean breeze on your face at the beachfront saltwater pool. Visit the spa and step into the steam house for a full mind and body cleanse. You can also sample wine or tequila, try your hand at archery, take a kayak out on the water, or go for a bike ride. Once you’ve built up an appetite from all the fun, plenty of options will satisfy your hunger. Dig into plates of mouthwatering flavors and ingredients for an out-of-this-world dining experience. There’s an atmosphere for every mood, whether you prefer indoor elegance with charming views or an outdoor setting by the pool. Drink to you and your significant other at one of five bars or even at any of the swim-up bars to celebrate your luxurious getaway together. Speaking of luxury, accommodations are nothing short of amazing. Each casita suite offers its own unique features. You can choose the room with a double bed out on the balcony, direct access to the lazy river, or your own exclusive infinity pool. No matter what your preference, privacy and comfort create relaxing moments you’ll never want to end. 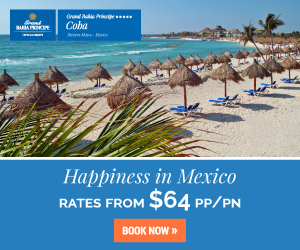 Book now and SAVE on your vacation: El Dorada Casitas Royale packages are available at All Inclusive Outlet. 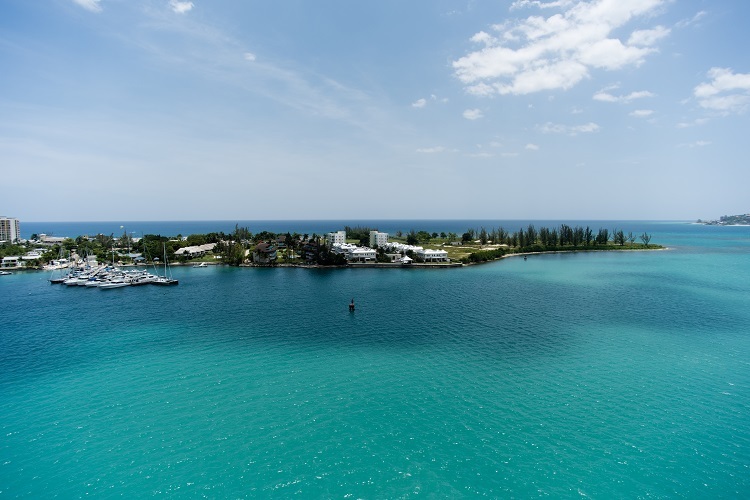 Explore endless opportunities during your time at El Dorado Seaside Suites. Make your way to a stretch of white-sand beach and the sparkling blue sea for picturesque views. Here you can participate in activities like kayaking, snorkeling, and beach volleyball, or simply lay out in the sun. Join other guests for coconut painting, mezcal tasting, Bocce Ball, and more to fill your days with lasting memories. If you’ve been carrying around any tension, visit Náay Spa for get a relieving massage to feel your best in paradise. Find sanctuary in your spacious suite for the utmost comfort and relaxation. Depending on your needs and desires, you can have direct access to the main pool or enjoy the privacy of your own balcony infinity pool. Honeymoon suites include extra touches of romance and beachfront suites are steps away from the sand and sea. All room options feature a lavish Jacuzzi so you can relax in peace anytime you want. El Dorado Seaside Suites is prepared to meet all appetites with a variety of savory international cuisines. If you just need something quick and easy, enjoy pub favorites or delicious BBQ. And don’t forget to stop by, or swim up to, one of ten bars for refreshing drinks and a good time. 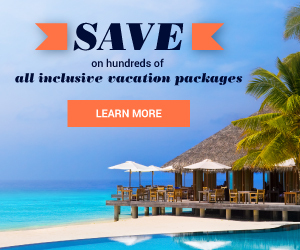 Book now and SAVE on your vacation: El Dorado Seaside Suites packages are available at All Inclusive Outlet. 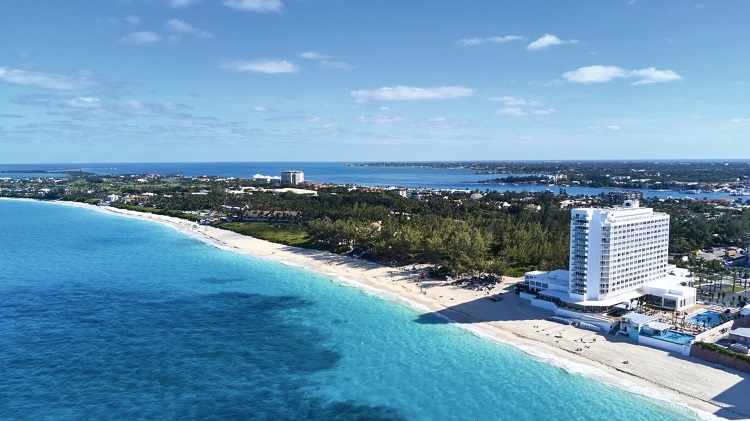 We can’t think of a reason why you shouldn’t be basking in luxury while you’re away on vacation! 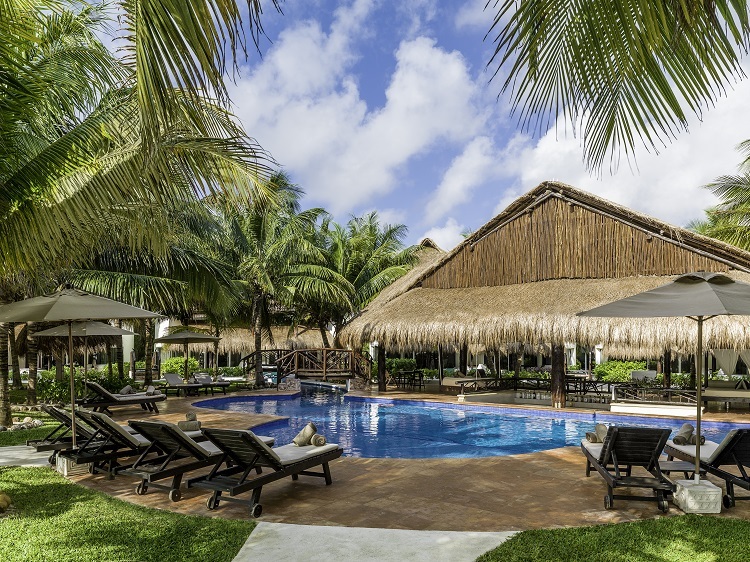 Visit All Inclusive Outlet today and search through the best discounted all inclusive packages to any of the El Dorado Spa Resorts in Riviera Maya.